Todd Peterson, an Oregon and Washington Bar Association Member who has provided Oregon and Washington legal help for car accidents and dog bites for over 25 years. Todd Peterson is the principal of Peterson law Offices, a Portland law firm. 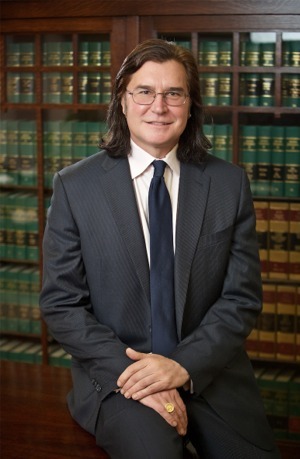 Mr. Peterson solely represents injured parties and has been giving legal advice to injured victims for over 25 years. Mr. Peterson has represented thousands of clients and has achieved millions of dollars worth of settlements for those clients. He has been a personal injury attorney for as long as he has been an Oregon Bar Association Member. Mr. Peterson graduated from the Ohio University in 1986, and graduated from Lewis and Clark, Northwestern School of Law in 1990. He was admitted to the Oregon State Bar Association in 1991 and the Washington State Bar Association in 1994. He understands that it is a traumatic experience to have an injury, especially one that is caused by someone else. He believes it is even worse when an injured victim gets treated badly by the insurance company representatives who are trying to minimize the importance of the damages the accident caused. Don’t let those insurance companies treat you rudely, let us handle them while you get healthier. Let him use his experience in personal injury law to maximize your settlement while you take care of the most important thing, your health.